Raymundo Barros, CTO of GLOBO, tells us the latest technological innovations of one of the largest media companies in the world. One of the strategic priorities of GLOBO is to provide the user with an integrated experience. “The key – reveals Raymundo Barros – is to integrate broadcast and broadband worlds, providing a seamless digital experience, regardless of what the content is provided over broadcast or broadband”. The large Brazilian company is in the process of renovating its facilities and services to adapt to new consumption habits. On the one hand, Globoplay, Grupo Globo’s OTT application, will be completely updated, both in terms of technology and content. 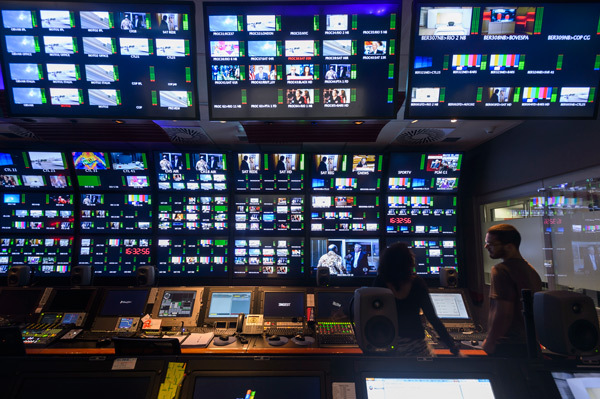 The company is also building three new ‘super-studios’ of 1.500 square meters each equipped with IP and 4K-HDR technology to double its ability to produce ultra-high quality content, mostly in TV series for OTT delivery. This interview is part of a series of special reports that we are developing this 2018 to learn the current technological state of the most influential televisions on the planet guided by their top technical managers. Globo reaches more than 100 million people through its multi-content platforms on a daily basis. In 2017, they had their largest audiences since 2011: they interacted with more than 190 million people per month or 94% of people with TV sets at home. 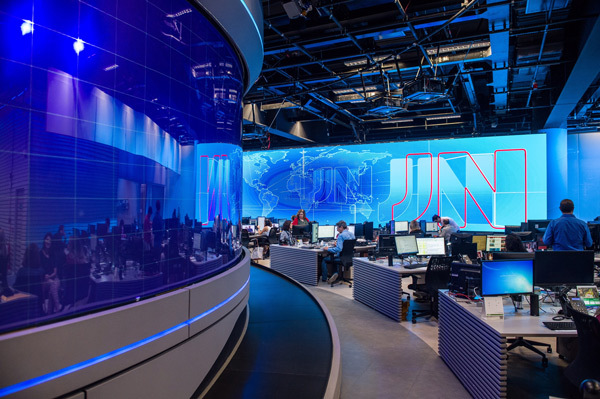 The media company has a free-to-air broadcast network with 122 stations throughout Brazil. Five of them are owned by Globo, while 117 are affiliate stations. Q: Could you tell me about the current situation of television in Brazil, and how this affects your position? A: In terms of technology, we are in the middle of the analog switch-off process. Digital television has been available over the air in Brazil for ten years. We have already ceased broadcast of analog television for more than half of the country. All the major cities and all the metropolitan areas, 120 million Brazilians, already solely use digital television. Thus, we have to address what we call small cities within the country, in which analog television is still broadcast and awaiting shutdown. This process will finish in 2023. In terms of broadcast, digital television has been massively deployed in Brazil. Our standard is based on the Japanese standard with certain innovations. Our codec system is H264. We are already performing some demos in Brazil, in order to design the next generation of digital television. Tell us more about these demonstrations. We can start from the past 4 years. In the last Summer Olympics, which were held in Rio de Janeiro, it was the first time, outside of Japan, that 8K content was broadcast over the air. We did that in 2016. We also had in the World Cup in Brazil, in 2014, the first 4K over-the-air broadcast, as well as a demo based on HbbTV technology, for Europe. In the last World Cup, we did two major demonstrations during the event. One of them was 8K/HDR in partnership with Japanese broadcaster NHK. We accessed all the matches that NHK covered in 8K/HDR. In partnership with IntelSat, we transported live 8K video transmissions from Japan to Brazil, and carried out a demo at the Museum of Tomorrow, a wonderful science and technology museum in Rio de Janeiro. More than 30.000 people attended this demo, watching live matches and replays. We also developed a live broadcast demo based on the ATSC 3.0 standard in this World Cup. This channel is still on air, and here we broadcast on a daily basis some 4K demo content. A number of football matches have been broadcast in 4K-HDR, most of them from the World Cup, and also a second HD program stream in the same channel for mobile reception. We are also demonstrating a new hybrid broadcast/broadband framework that have been developed by the Brazilian DTV Forum. Thanks to this, the TV sets already available in Brazil are providing a more seamless experience, meaning that you can watch Globo content over the air and, at the same time, receive Globo content over broadband in a single experience. This means that, although the Brazilian current digital television standard cannot support 4K, Globo’s content that have been produced in 4K can be delivered for the end users over-the-top in a seamless experience.